Multi colored polygons forming a nice and smooth triangle video background. A great background loop for any occasion. Use this awesome video loop in your next video production, certainly a visual to add to your footage library. 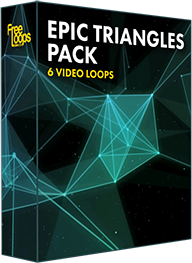 This video loop is part of Epic Triangles Pack.